We’re big fans of sport here at Wholesale Clearance UK, and while football does tend to be our favourite, most of us are addicted to the Six Nations rugby at this time of year too, and we can’t wait for the Rugby World Cup later this year. Every weekend while the rugby is on I have a routine. Pot of tea and a delicious sausage sarnie. 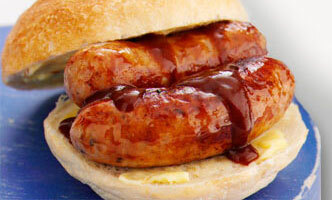 I like my sausages well done and I like lots of onions and latherings of sauce. Then I sit there and contentedly munch while enormous and powerful, and sometimes impressively bearded mountains of men, knock six bells of doo doo out of each other. Phenomenal. What a way to spend an afternoon. Last week as I cheered everyone on (for the purposes of this blog I’ll be non-partisan) during the three Six Nations rugby games that I watched, while dropping sauce all over myself, I pondered just what it is that rugby players eat because these guys are fit not fat. 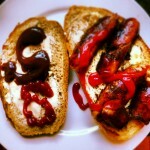 How many sausage sandwiches can a Six Nations rugby player eat? I had to find out, so I had a look – as I do. I read a few articles that identified the amount of protein that Six Nations rugby players need. These players know that mass is vital for effective collisions and apparently the players need huge amounts of protein in order to develop and maintain muscle mass. Without protein the muscle doesn’t build so each player is set a daily target of protein that they have to consume. So far so good. I could maybe go for that. Big lunch. Big dinner. However during the day, these mighty Six Nations rugby players have to snack. Constantly. And no sugary snacks either. Remember it’s not blubber that they’re looking to pile on. One of the most popular snacks according to Dunne is “Protein pancakes.” These are made using chocolate whey protein powder, eggs, blueberries and bananas. Peanut butter on some sliced apple is also popular because it contains quality fats and slow-burning fuel. So now I’m puffing out my cheeks at the thought of a big lunch, big dinner and multiple snacks and recovery smoothies. Well apparently these hunky chaps have to consume four meals a day! Four SUBSTANTIAL meals per day. This is more than most other sporting athletes. Their nutritional advisers do not allow them just to eat anything and everything and according to Dunne, “if it comes in a wrapper it probably is not the best option”. So no Mars Bars then? Nope. 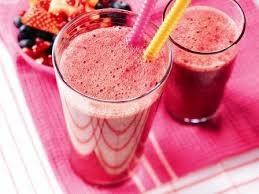 The players are advised to stick to unprocessed whole food sources. 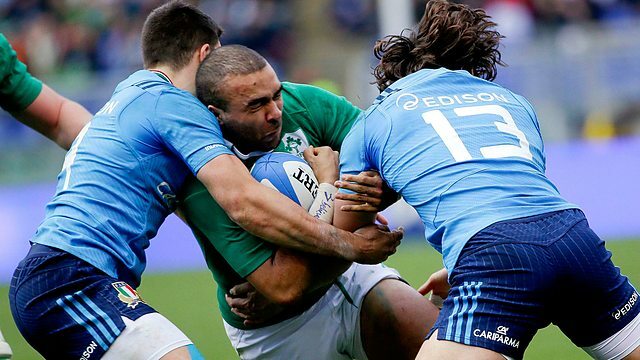 So what is a typical day’s diet for a Six Nations Rugby player? So no sausage cobs, fish and chips or shepherd’s pie then? I’m disappointed! The Six Nations rugby players are also encouraged to eat plenty of carbs as they help fuel their training and help the body recover afterwards. Sounds simple. Maybe this is where the sausage sandwich come in? Apparently not – what matters is having the right amount of carbs at the right time to ensure you don’t add fat as well as muscle. With this in mind Dunne advises a daily carb intake of between 2g and 8g per kilogram of body weight depending on the time of the week, as their diets are different on match days to when they’re training. Training sessions require high-carb diets to top up fuel stores. Eating so they can do this! Tuesday tends to be high-intensity training day so the Harlequins have a mix of protein and carbohydrate at breakfast including eggs, steak or fish for protein, and fruit, sweet potato or oat-based cereals like porridge for carbs. On lower-intensity training day this will be more protein-based with some healthy fats, such as an omelette and avocado, or some smoked salmon, poached eggs and vegetables. On match days the Six Nations rugby players will eat high-carb meals that are slower-digesting – potatoes, rice, sweet potatoes and oats, fruit and smoothies. So, I find myself disappointed. It seems unlikely that I’ll ever be able to put that much food away, and in any case I’d need my own personal chef and nutritionist to keep an eye on it. But sport, particularly at national and international level, like the Six Nations Rugby and the Rugby World cup are a serious business. A lot of money goes into it, and a great deal of care and attention. This is a great metaphor for the way we run our own small businesses, isn’t it? We can’t afford to take our eye off the ball for a second, because we don’t know what way that ball will bounce. We need to nurture and care for our businesses so that they continue to perform at optimum level. We need to feed our businesses the right way so that we grow stronger, and surround ourselves and our clients with good energy. Then we too can weather the collisions and survive the breakdowns. It’s a scrum out there, we need to be prepared! 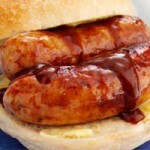 Brown sauce or red sauce or no sauce?